The Good, The Bad, and The Best ways to use the unique ability of pausing a game. Timeouts can be a critical tool for teams in many situations, but misconceptions about how to use them can also leave a team digging a hole even deeper. Before signaling for a brief break in your next game, consider the following. Timeouts can be used during points to effectively “freeze” the game, then allow an offense to start in any formation they like. After the offense sets up, the defense can then set up however they like in response. Timeouts can also be used between points of course, giving more time between pulls for teams to discuss things. Be sure to get used to calling timeouts during practices and scrimmages. The more realistic your practice games are, the better prepared you’ll be for competition. In my mind, the best use of a timeout is to score a goal. For elite teams who score most of the time when they have the disc, this means using a timeout to prevent a turnover. I prefer that my team uses their timeouts with the disc in hand during a point, rather than between points. This would ideally happen, in response to a situation that would result in playing outside our system, or throwing a pass they aren’t throwing regularly. Most teams play offense in a way that puts them in control and where they always have options to move the disc in a way that they are used to. If you find yourself on the disc speculating, “Maybe if I try this..”, then your offense is probably a mess and could do with a reset.For a good team, you might not even need to talk in the timeout huddle. Just move back into the positions that you want to play (such as a stack or an isolation) and proceed from there. Consider this: Using a timeout to prevent a turnover becomes less valuable during points with multiple turnovers. If each team has a number of chances on average during each point of your game, consider using your timeouts in different ways. How To Counter: Expect the unexpected. Any smart defense should want to force that out-of-system throw again, so expect poaches, a zone, etc. after taking a timeout. Let’s say that you’ve taken a timeout on stall 7 due to a sloppy bit of reset work; the D-line now only needs to shut down that one throw for three seconds. This means that double teaming the reset or putting a poach in the throwing lane nearest the disc are both good ways of forcing a more expansive (and more risky) throw to be used within those three seconds. Remember that defense is largely about making calculated gambles. There are no guarantees that the offence won’t score from this position, and your poaching may even be punished for a goal. But if you think that your opponent is likely to reset and score from the current position, why not take a gamble and hope you can get a turn on the first pass following the timeout? If people always behaved in games the way they did at practice, coaching would be so much easier. Sadly, when The Big Game comes around, some people let the occasion get to them and go off the rails a bit. A quick timeout to remind the team to rely on their training, to stick to the plan, and have confidence in what they are doing can have a big impact on offensive flow. That in turn leads to easy goals and increased confidence. Once everyone remembers what they can do, you may find that your team finds a rhythm quickly. This would also include situations where you just need more time, like when a star player needs a water break, or when the time between points has run down before you’ve called a line. Counter: Remember that this provides the defense an opportunity to get organized too. If I felt that the other team wasn’t playing to it’s full potential, I’d use the timeout to change something subtle on defense-maybe changing to a force middle, or switching how our match defense works from fronting to backing downfield, in the hope that it negates whatever the opposing coach has just said. Aim to make the opposing team’s timeout ineffective, and affect a loss of confidence as a result. Go back to whatever you were doing on the next point, or even later that point. Faced with an offense or defense they’ve not seen before, your team might find themselves getting into a mess repeatedly on offense, or getting schooled on defense over and over again. The ultimate aim of any team is to be adaptable in the face of such adversity, but guidance is part of what makes us leaders, so be ready to give your team some input. As a coach, you can see what’s going on at a higher level better than the players who are on the field and concerned with minutiae. It may be obvious that some of your team are struggling to identify what’s going on; perhaps they haven’t identified how a flat mark is being played, or how reset defenders are working together to deny big swings. Rather than continuing to watch your team struggle, a coach can use a timeout to explain what is going on and how to adapt play accordingly; perhaps making wider cuts that enable throwers to attack space better, or resetting earlier in the count to prevent those difficult high stall situations. Consider: this is an important and sensible use of a timeout, but time is extremely limited. Ensure that you only have one voice in the huddle. Bring a whiteboard, marker cones or similar into the huddle so you can quickly and clearly explain (a) what the other team is doing, (b) what adjustments you expect your team to make as a result. You should also consider touching on a maximum of three adjustments, and only one in detail. Players simply cannot absorb lots of detail in these pressured moments, so stick to discrete changes that they understand. “Let’s make sure we’re resetting on stall four,” is a good example of using a timeout to educate. Counter: change something more drastic on defense. Switch from person to zone or vice versa. This runs the risk that a team you’ve been stomping on will score and gain confidence. If you think your opponents might still struggle to execute—even if they are tactically better—then sticking with the same defense can be smart. Alternatively, consider switching from one type of defense to another and hoping that they don’t notice; going from zone to a “zone for one pass” set, where your defense initially sets as your usual zone, but quickly transitions to a matchup defense. Things go wrong sometimes: your dump falls over in the mud, a sudden poach defender appears, and all of a sudden you have no-one to throw to. Rather than throwing a 50-50 disc into a crowd, I prefer to call a timeout and use the three seconds left after stall six to set up a reset. All we’ve really done is prevent a turn, but if we trust in our offense sufficiently then they can get the job done and score after the timeout. The importance of stopping the rot before it starts cannot be overstated; using a timeout to prevent a turnover (or a turnover and a break) can save part of a game. Many offenses become messy after a minute or two; cutters stop clearing properly, handlers get stuck in bad positions, the once-straight stack resembles a cluster. As things become messy, the amount of available space is reduced, which leads to further compromises. Players stop setting up their cuts properly, or their cuts are no longer respected by their defender because other offensive players are clogging space. Failing to clear after a cut can also block a handler from available reset space. All of these are symptoms of a group of players who have stopped playing as a team, and are all trying to win alone. Take 60 seconds to get organized. Your offense has been broken twice on back-to-back points . Change something, now. Even if nothing is tactically wrong, those slow walks back to the line start to fill your team with a sense of impending doom. Make a change, be decisive. Caveat: if my team has called a timeout during that third point, and still got scored on, then I’ll try to save the remaining timeout where possible, and instead rely on a wholesale line change. Fresh legs and fresh minds can often be all you need. This is rare, but when your team is very short on subs—particularly when playing a team with a deeper rotation—then using a timeout to gain back another minute of rest before or during a crucial point can be useful. Most veteran defensive players will be aware that, after a long grinding point where a block has been hard earned, when cuts dry up it is better to call a timeout just to rest and reset. In future, bring more players and/or do more conditioning. For coaches and captains, this situation can be avoided by trusting in your full roster and cycling through players better all tournament long; too often, a team tightens up their lines too soon and runs out of energy. Rest your top players as much as possible by having more faith in the others to deliver in earlier games. If you get a block on a throw where the disc ends up out of bounds, then the defense has the immediate advantage of being able to set up a sideline trap. Setting up quickly before the defense can adjust can help avoid this. Given that your offense already has 20 seconds to get set up following an out-of-bounds turnover, do you really gain a huge advantage talking for another 70, while allowing the defense more time to get organized? Instead, try getting the disc in play as quickly as possible and prioritize getting the disc off the line. If you can’t do that safely, then you might as well use the 20 seconds and go as slow as possible. Encourage all of your players to feel comfortable doing this by making sure they get reps at practice bringing the disc into play on a sideline. For most teams, getting that first pass off the line is the most difficult task. Very few teams are as good as they think they are in their attacking third of the field. Even elite teams struggle at times to convert from short distance in a setup that heavily favors the defense. Think about it. You can’t easily exploit deep space as the back of the field is too close, which means each defender can focus on stopping the unders. Calling a timeout means you lose the advantage of flow, and it forces you to play 7-on-7. A reduced field size, crammed full of people, and with no long space to exploit, is a defender’s dream and an offense’s nightmare. Of course, the flip side of this is that all it takes is to set up one simple throw to score a goal –easy, right? This is tempting, but remember that it is defense who get to choose where they want to stand after the offense sets, so those simple isolation goals are rarely as simple as they appear, and the player picking up the disc is often tempted to throw a one-pass goal. More to the point, does your team practice this specific situation?1 It’s one of the more repeatable situations seen in ultimate, yet many teams have woefully low completion rates in the red zone. Sure, if you’ve swung the disc around and your usual offence is starting to break down, then a timeout here can be sensible. But I would strongly encourage teams to attempt scoring using their usual systems before burning a valuable timeout. You streak deep, catch the disc beyond the deepest defender… and immediately call a timeout. Why? Think of the defender in this scenario and what they are most concerned about: being scored on immediately. We’ve all been there at some point, and all of us dread a situation where we cannot prevent a goal to a wide-open player. So, consider again our scenario; the player catching the disc has no mark, there are players coming in support. One or more is cutting into the endzone immediately, or is coming to provide a simple reset. If you don’t trust yourself to throw to a one-on-one matchup, then ask yourself why; there’s plenty of space and time. Teams sometimes get into the habit of calling a timeout early in the game when things aren’t working perfectly. But ask yourself; what is the purpose of a timeout here? Did someone just turf a pass? Is that worth talking about? It might actually make things worse to highlight simple, individual errors. It can erode confidence. Maybe you’re struggling against a zone a little, but battled through and won the point. Well done. Do not take a timeout. For all you know, the opposition might switch away from it because it didn’t generate a turn. Besides, the seven of you can always have a quick chat on the sideline while others take to the field. Try to save timeouts for when they can score you goals, not just to have a chin wag. For a broken O-line, this might involve becoming more efficient at addressing issues on the walk back to your goal line, for instance. Or get a small group to discuss on the sideline, particularly if they just played a point and want to discuss what happened. The ability to pause a game is a unique ability of timeouts and remains their most powerful use. Retaining possession and avoid turnovers is the most helpful use. Practicing using timeouts at practice will set you up to use them well in a game. You can avoid using timeouts for education or talking if you practice communicating efficiently. Timeouts can be use to get input from the sideline, particularly if the opponent is doing something unusual. 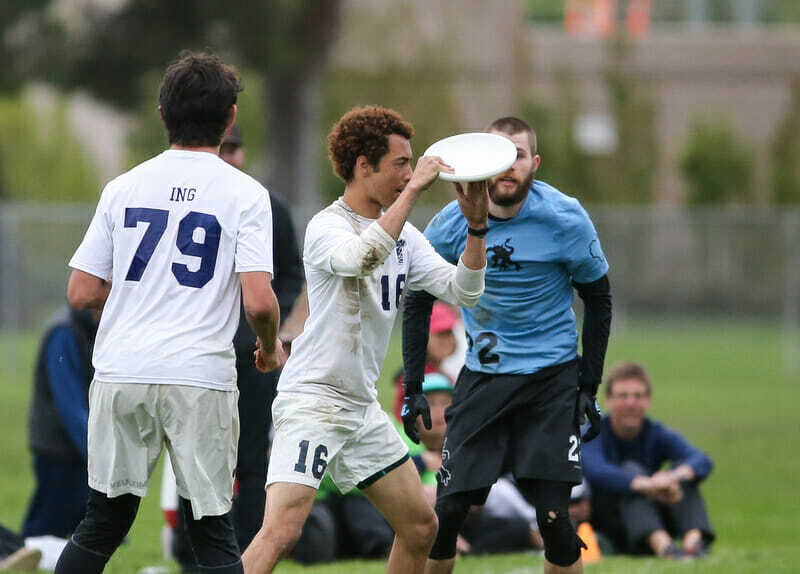 Comments on "Tuesday Tips: How To Use (And Not Use) Your Timeouts Effectively, Presented By Spin Ultimate"